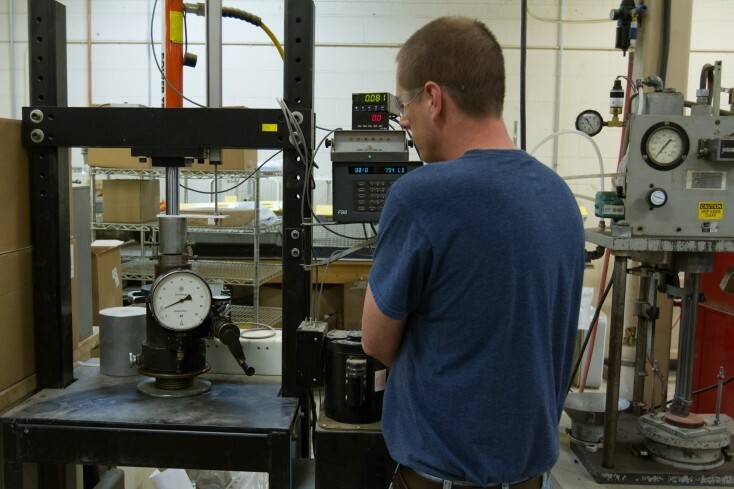 Evaluating the mechanical properties of a wide range of materials, our laboratory has the equipment to perform cyclic fatigue, tensile strength, compressive strength, flexural strength, hardness, strain measurements, pressure, and many other forms of physical testing. We have multiple load frames to accommodate a wide range of samples, sizes and strengths. In addition to performing standard tests on raw materials, we also design and build customized fixtures and tests to accommodate specific products and assemblies. We offer several servo hydraulic load frames and state-of-the-art data acquisition technology to deliver the results you need when you need them.